Everest region has become a popular destination for short trekking trips, longer treks, high passes, adventure peaks, challenging expeditions of mountains above 8,000 meters including the highest Mt. Everest (8,848m/29,028ft), the story of Yeti and the Sherpa culture. 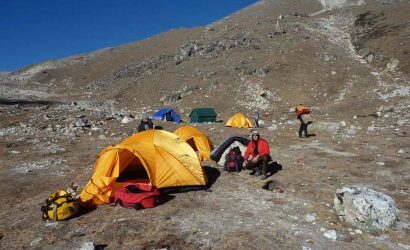 If you want to achieve a summit on a trekking peak and spend as much time as possible in the Everest region including trekking and crossing over 3 high passes, here we have designed a trek combined with a peak to fulfill your expectations. The trip includes Renjola and Chola pass, Everest Base Camp, Kalapatthar, Kongma la pass and then climbing of Island Peak. Therefore, we have named this trip as Three Passes with Island Peak Climb. 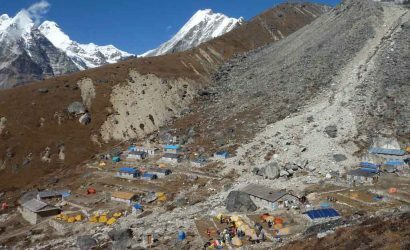 Our Everest high passes trek provides an all-round experience of the famous Khumbu Valley. This trip refers to as a hard trek advancing to the Renjo la Pass (5,340m/17,520ft), Gokyo Ri (5,360m/17,586ft) and the tough Chola Pass (5,330m/17,487ft) making a circuit of Tawache (6,367m/20,890ft) and Cholatse (6,440m/21,129ft), Everest Base Camp (5,364m/17,598ft), Kalapatthar (5,545m/18,192ft) and finally Kongma la Pass (5,535m/18,160ft). The trip is also focused on adventure, Sherpa culture and their social life. The summit of Gokyo Ri (5,360m/17,586ft) provides a lifetime memory from where a 360 degree view of Mt. Cho Oyu, Mt. Everest and Mt. Makalu is truly panoramic. 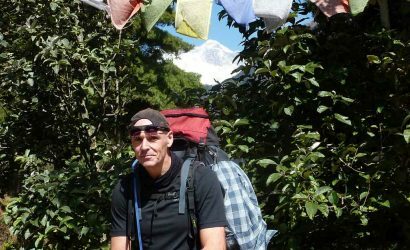 Do I need to train for 3 Pass trek with Island Peak expedition? 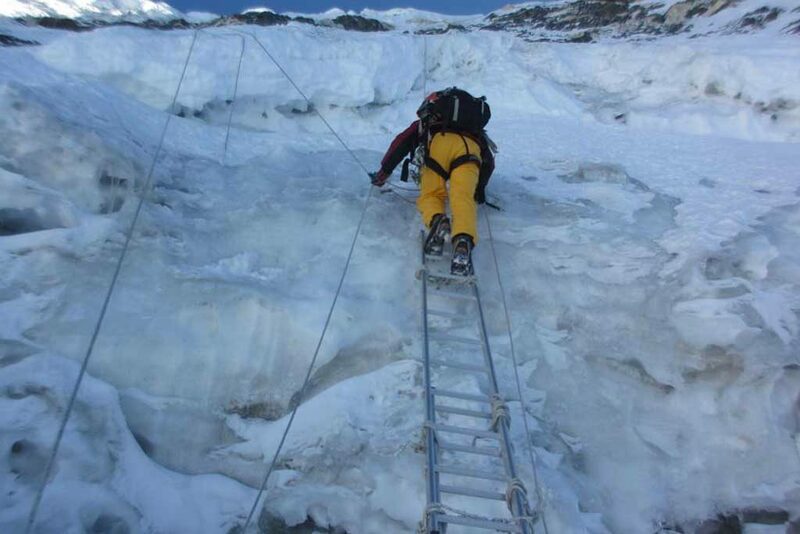 It is a hard trek and rope climbing is involved in this expedition. So, regular exercising and jogging for some weeks prior to the trip is a good idea to enhance your strength and stability. Any previous hiking experience is a great asset. However, climbing of Island Peak is demanding and you will need a great passion and prepare yourself for the summit. What is the total distance covered on this trip? The total distance covered on this trek is about 180 kilometers starting and finishing at Lukla. The trek goes through Namche Bazaar, Thame, Renjola Pass, Gokyo Ri, Chola Pass, Everest Base Camp and Kalapatthar, Kongma la Pass, Chhukung, Island Peak and finally end the trek at Lukla via Namche Bazaar again. 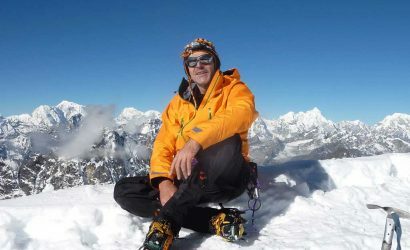 Is Island Peak Climbing dangerous? Climbing itself is not an easy task. 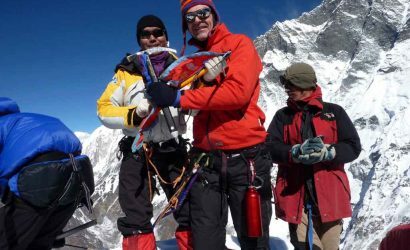 The extreme altitude, weather conditions, cold and other mountaineering hazards ensure high altitude climbing has unavoidable risks at the best of times, members of our expeditions need to be aware of these dangers and accept that they are an integral part of high altitude mountaineering. 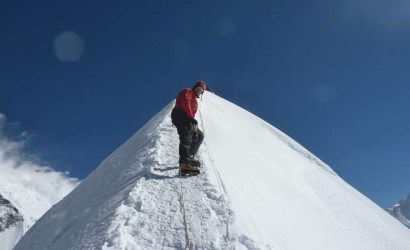 However, compared to other climbing peaks in Nepal, Island Peak has less fatality. Do I need oxygen while climbing Island Peak? 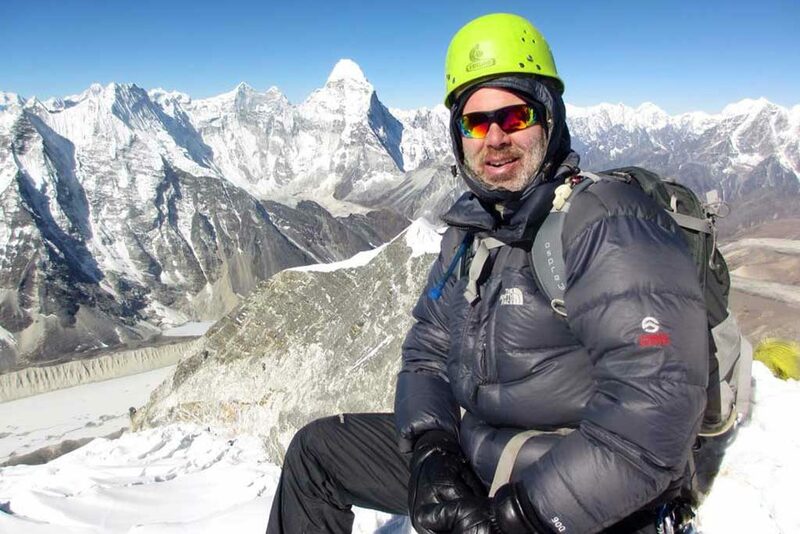 Generally, expeditions below 6,500 meters are run without 'oxygen bottle'. But it is important to understand that the level of oxygen is thinner above 5,000 meters. So, previous high altitude trekking experience will be very helpful here. Do I need Climbing Permit? Yes, you will need a Climbing Permit issued by Nepal Mountaineering Association. Besides, you will also require Sagarmatha National Park Permit in order to enter into the Everest region. Is the trip also for normal people suitable? People with average physical condition can participate in this expedition. However, travellers with pre-existing medical conditions such as heart, lungs or any other serious disease should seek medical advice from their doctor before signing for the trip. Is the trip available for solo or in group only? The trip is available for both solo and group trekkers. However, we recommend for a group of two persons which makes the trip cost effective and eventually this will be beneficial having a co-climber in the team. 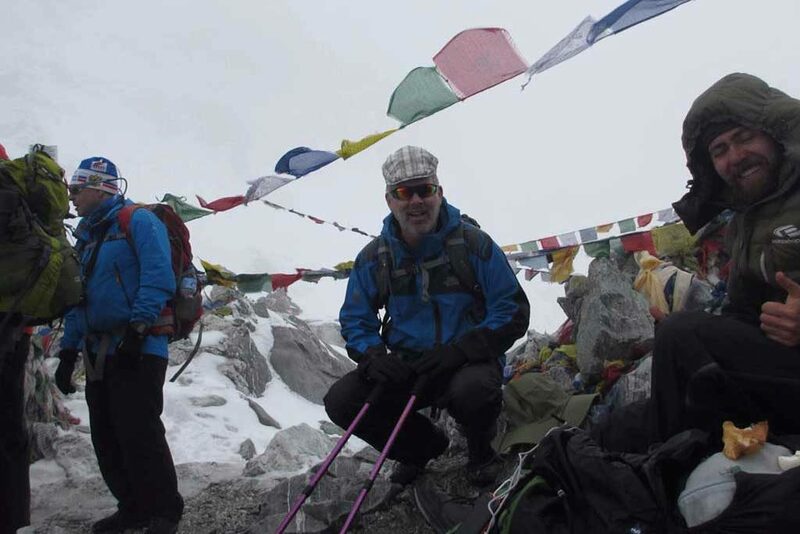 We provide 1 Climbing Guide/Sherpa Climber for 2 Persons.